If you guessed, “former roommate left my shed full of junk when they moved out and never came back to get it”, well, you would be correct. 🙂 As you can see, sometimes what’s behind door number two is not always a pretty sight! Feeling a little overwhelmed, this homeowner decided that this was one headache that she could no longer deal with and needed to get this shed cleaned out. So what did she do? She did what so many others have done and reached out to THE JUNK DR to assist with her junk removal emergency. 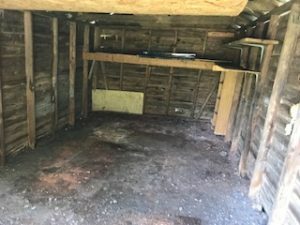 Do you have an old shed that is overrun with forgotten junk and old furniture? Perhaps you’ve had an unfortunate experience like my patient above, where a roommate moved out and left a mattress and other trash behind. Well there is absolutely no need to fret. 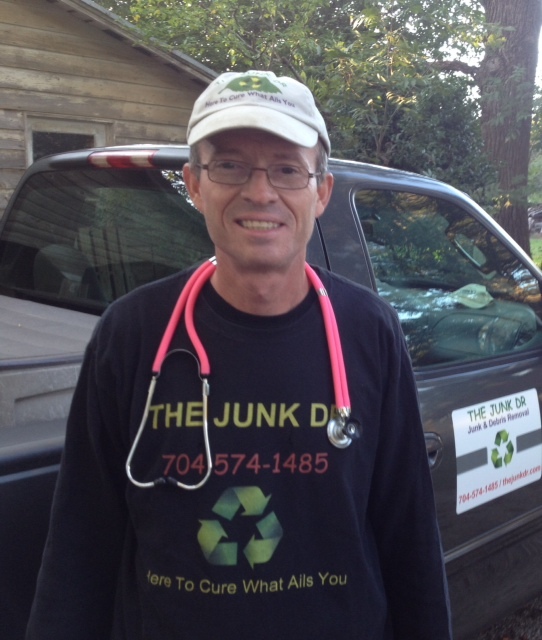 THE JUNK DR specializes in the hauling and removal of unwanted junk and old furniture. Serving Fort Mill, Indian Land and the greater Charlotte area, THE JUNK DR is more than happy to assist with the clean out of your shed. So what are you waiting for? That shed isn’t going to clean itself out and that junk surely isn’t going to magically disappear. Set up your Dr’s appointment now @ 704-574-1485. Thanks and have a fantastic day!! 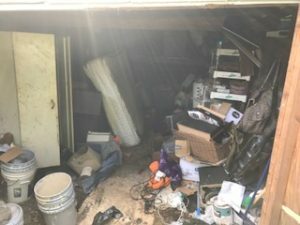 This entry was posted in Hauling, Junk Removal, Mattress Removal, Shed Clean Out, Trash Hauling and tagged hauling, junk hauling, Junk removal emergency, Mattress Removal, Shed Clean Out Fort Mill, trash removal by The Junk Dr. Bookmark the permalink.